U.S. military casualties from Operation Iraqi Freedom: 4,411. U.S. military casualties in Afghanistan, from Operation Enduring Freedom: 2,216. U.S. military personnel: 2.1 million (active duty: 1.3 million; Reserves and National Guard: 800,000). About 20 veterans a day commit suicide, per the Veterans Administration: "In 2014, the latest year available, more than 7,400 veterans took their own lives, accounting for 18% of all suicides in America. Veterans make up less than 9% of the U.S. population." "The Pentagon reported [last year] that 265 active-duty servicemembers killed themselves last year, continuing a trend of unusually high suicide rates that have plagued the U.S. military for at least seven years." 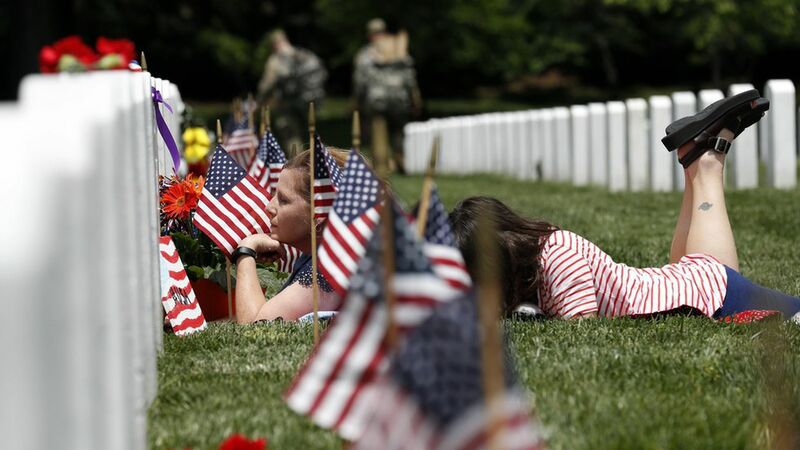 The takeaway, from AP: "Veterans groups say a growing military-civilian disconnect contributes to a feeling that Memorial Day has been overshadowed. More than 12% of the U.S. population served in the armed forces during World War II. That's down to less than one-half of a percent today, guaranteeing more Americans aren't personally acquainted with a soldier, sailor, airman or Marine." Why it matters: Are you?